"Svasti helped give a boost to my business." 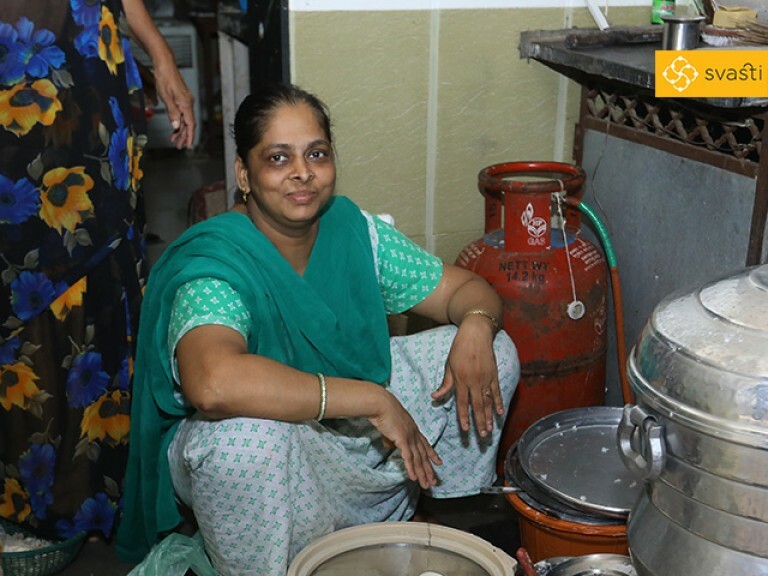 Mamta Pravin Bombarde lives with her husband Pravin, and their two sons, in a small house in the Mankhurd area of Mumbai. 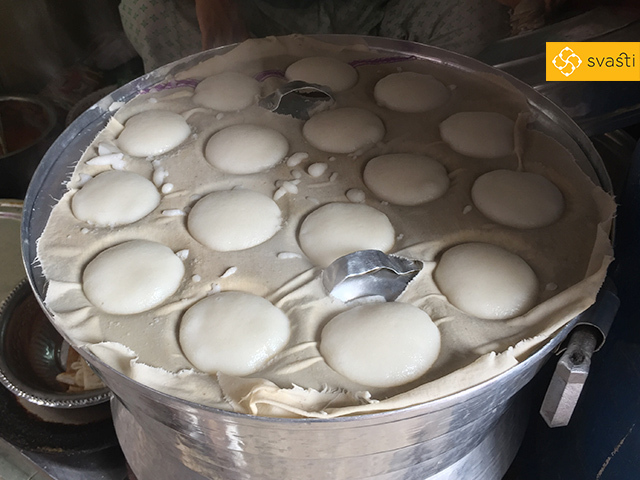 Mamta sells south Indian snacks - mainly idlis and vadas, with chutney and sambar - outside her house, and her husband works in a local municipality office. 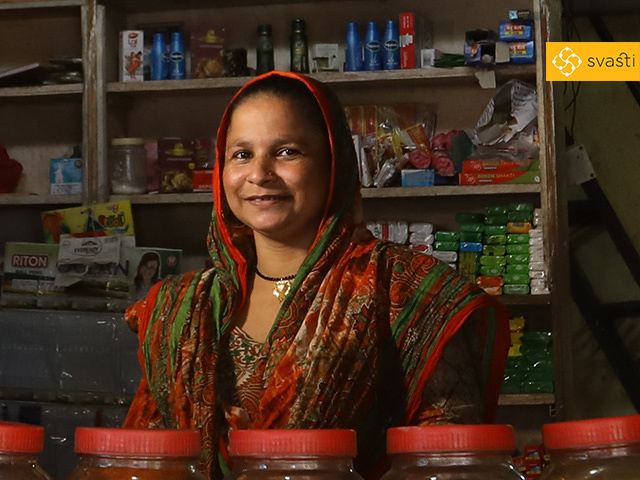 When Mamta initially started her food retail business, she faced lots of difficulties getting finance at an affordable rate of interest. Then Mamta heard of Svasti, from one of her neighbours who had already taken a JLG Microfinance loan from us. A much-relieved Mamta, along with four other women like herself, took a Joint Liability Group Microfinance Loan of Rs 15,000 from Svasti. With the money, she purchased an idli making machine (seen in the picture alongside). The machine allowed her to increase production and sell more, which allowed her to repay the Svasti loan of Rs 15,000 on time. Subsequently, she took two consecutive loans of Rs 25,000, and Rs 35,000, to buy more utensils required for making and serving the food at her outlet. Having repaid all three loans on time, Mamta has now borrowed Rs 60,000 to further expand her production capacity, and extend her business around the neighbourhood. The additional income she's made over the years with the help of loans from Svasti, has helped improve the financial wellbeing of her entire family! 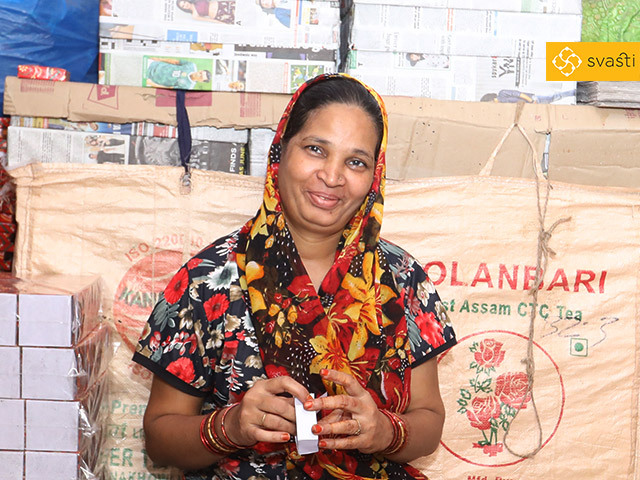 Mamta says “Svasti has helped a lot in improving my financial situation, and I can now afford to buy expensive but useful household items for my family." 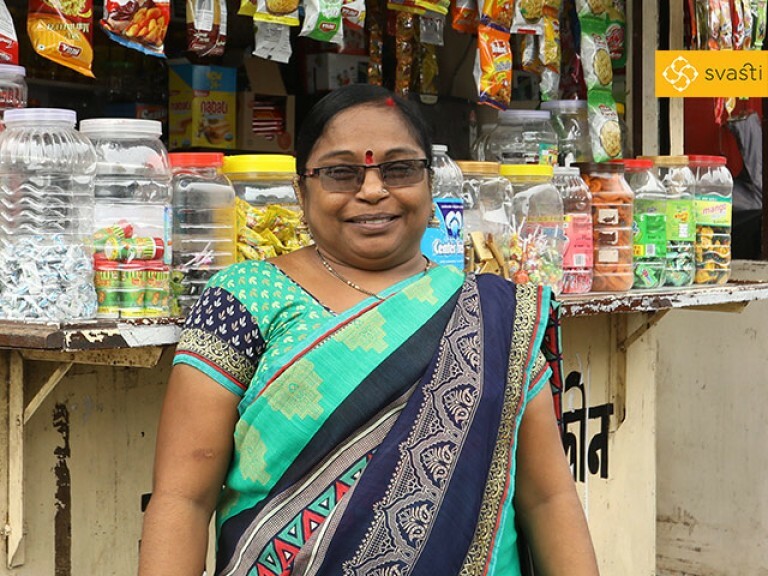 In the future, Mamta hopes to move out of her doorstep shop, and establish a proper outlet that sells a variety of foods for the neighbourhood.